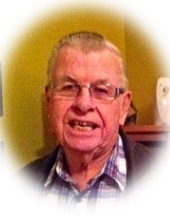 Mr. Billy Ray Powell, age 81 of Carrollton, Georgia died Sunday, November 18, 2018. Mr. Powell was born in Wilson, Oklahoma on December 6, 1936, the son of the late William Jennings Powell and Dovie Love Hardyman Powell. member of Old Camp United Methodist Church. Survivors include his wife, Deanna R. Powell; son, Kevin Dean Powell of Carrollton; daughter, Brenda Brown of Carrollton; grandchildren, Justin (Alex Chenault) Odom, Dustin Brown, Blake Brown; great grandchildren, Bryson Odom, Aivree Odom; several cousins and special friends, Robin Middleton, Savannah Stephens, Taylor McMillan. Besides his parents, he was preceded in death by his brother and sister-in-law, James and Carolyn Powell. The family will receive friends at Almon Funeral Home on Tuesday, November 20, 2018 from 5 p.m. until 7 p.m.
A memorial service will be held Wednesday, November 21, 2018 at 11 a.m. at Old Camp United Methodist Church Chapel with Rev. Tom Compton officiating. "Email Address" would like to share the life celebration of Billy Ray Powell. Click on the "link" to go to share a favorite memory or leave a condolence message for the family.